It must be A.G.M. 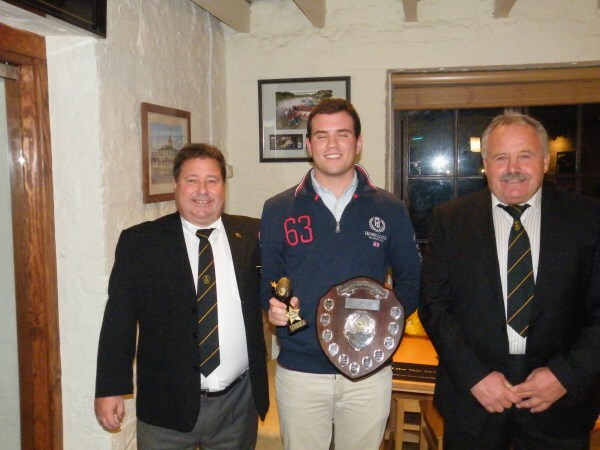 time and our Cornwall Player of the Year Presentations. Trelawny’s Army Supporters Club held their A.G.M. 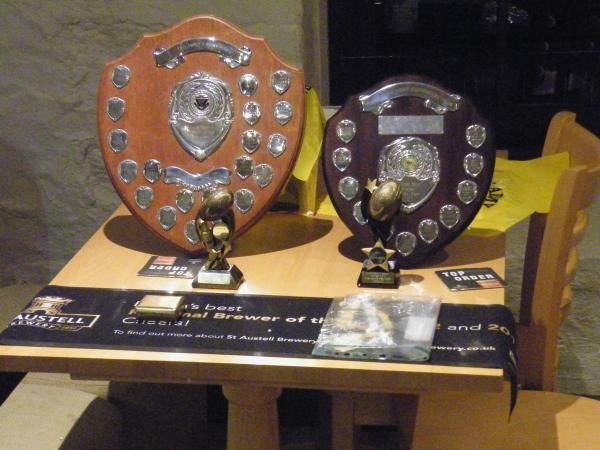 yesterday at the St. Austell Brewery Visitor Centre. The Army were delighted to have as guests for the evening officials from the Cornwall R.F.U. including President Ken Plummer, Chairman Denis Preece and Cornwall Team Secretary Ewart White. There was also a very special welcome for the newly appointed Cornwall coaches; Graham Dawe and Ian Morgan. 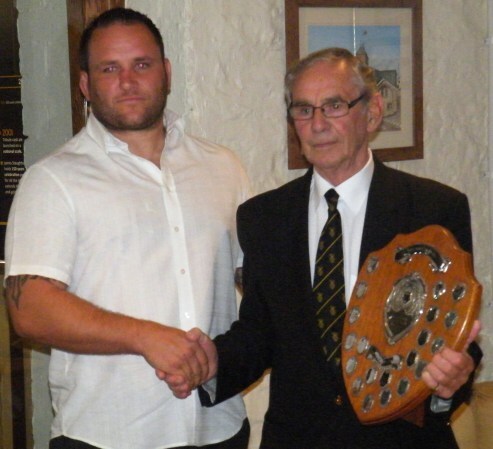 Club Chairman Phil Trevarton reported on a very successful year for the club, the highlight of which was Cornwall getting to Twickenham. There were further presentations made to Alan Mitchell, who stood down as Hon. Sec of the Cornwall R.F.U. last June and who is a past Chairman of the Army, and to long-serving Membership Secretary Thelma Sweet who has also stood down. 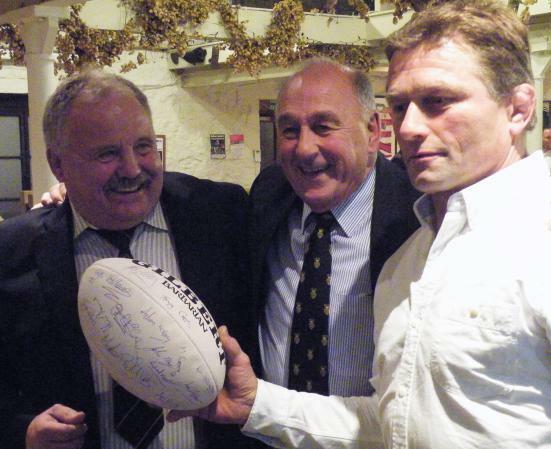 There was also the presentation to St. Austell Brewery of two match balls, which hopefully in time will be displayed in their visitor centre, one from this season’s match against Hertfordshire and the second a 1991 signed ball from the county final against Yorkshire at Twickenham, which fittingly Graham Dawe was on hand to make the presentation along with CRFU President Ken Plummer to St. Austell Brewery’s John Treglown, who also happens to be TASC’s President and a former Cornwall player in his own right. ‹ PIRATES’ BOARD KICK FRIDAY NIGHTS INTO TOUCH!